"Bound For Glory" - Available for lease, Off Property Paid (5k Negotiable) or on property free lease. 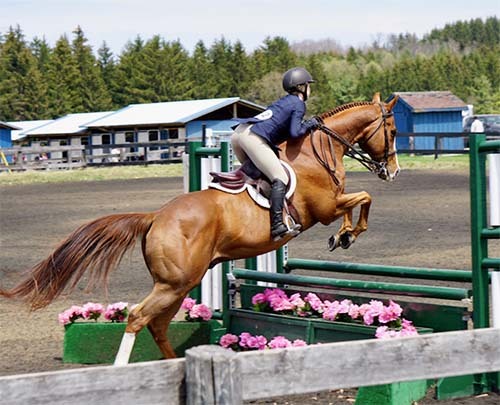 16hh TB Hunter Gelding with tons of show experience! He is honest, forgiving and can take a joke all day long. He was shown in the 2'9 modified adults and did a few 3ft Adult Equation classes! Ben is looking for his next kid or adult to show with next year! Located in Uxbridge. To set up and appointment or for inquiries please call Vanessa at 416 300 0142.